If you're going to name a band after yourself, you'd better have a worthy surname. Luckily for him, Chris Mathien was granted such an edge from the start and hasn't wasted it. 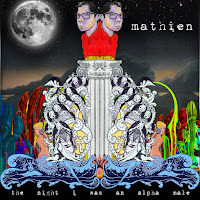 The latest LP from his band Mathien is a good old-fashioned romp through quirky funk-rock territory that isn't afraid to linger on deeper lyrical themes. The Night I Was An Alpha Male kicks off strong with its title track, an earwormy jam that ought to remind you at least a little of Queen (or their spiritual successor Mika) in its bouncy melodrama and instant addictiveness. And as an up-and-coming band, you don't get likened to Queen unless your vocalist has got a few chops. Chris Mathien may not quite span the Mercury range, but he holds down a rock-solid tenor throughout the record. Diving past track one, Alpha Male finds itself more into funk-rock territory with splashes of R&B swirled in--rather akin to the latest from AWOLNATION. Occasionally, such as on closer "The Hold," Mathien runs the risk of sounding a little too "lounge act": mixing pianos and brass together tends to bring that danger. It's the tracks with rock roots that really make up the meat of the record, where the guitarwork fuels the momentum. The churning riffs on the stripped-down "Lettuce Head" make the track feel the most concise even though at six minutes it's the longest on the album. Penultimate number "Games & Lies" also feels remarkably tight, with spidery basslines and clipped downstrokes knitting together over spacious drumwork. The pacing remains tense and neurotic until the crashing finish, when the guitars storm in full cathartic force. What intrigues me most about Alpha Male, though, is the way in which its subject matter rubs against its genre. Even at its biggest moments, the record maintains a sincere introspective slant. You'll be hard-pressed to find many loud, polished funk-rock albums that are simultaneously honest explorations of masculinity in the present day. 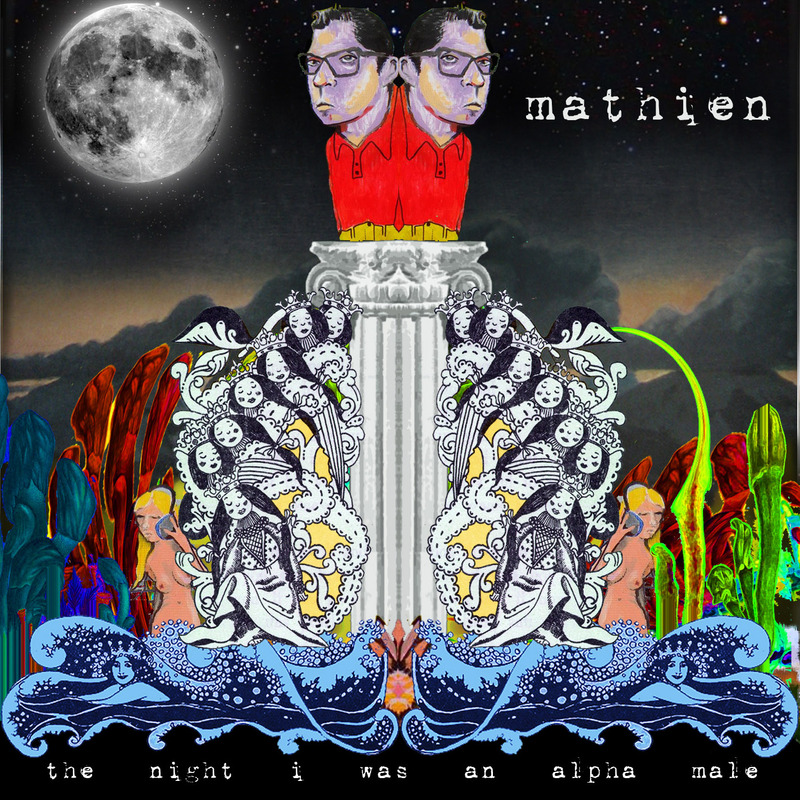 The question of where individual identity fits in with gendered expectations is a ripe one, and Mathien manages to grapple with it over the course of 14 punchy tracks. The genre ends up being a productive place to hammer out such inquiries, as Alpha Male rips through its internal conflicts on a consistently upbeat rhythm. You might not even guess that you're hearing the products of self-analysis upon first listen, but that's the cleverness of Mathien. Nice work. Love these guys!!! Wow these guys are better then U2!! Awesome review for an awesome band! Saw the live performance of this album at the Chicago House of Blues 7/8. Incredible energy. They could be the 'next big thing' out of Chicago. You think lettuce head is good on the CD, you need to see it live. Great album, can't stop listening.